One of the things that I am so glad with as of lately in terms of fashion trends is the love of leather. And I don't mean in the sense of 80's rockstar leather pants, or cowboy leather chaps or even the leather that upholsters your new car and makes you smell of leather the whole day! I mean in the sense of being able to incorporate leather detailing in to your outfit like this vest, or a skirt or even trims, pockets and bracelets. I love your hair straight! So pretty. And the print on your dress is stunning! The print on your dress is awesome. And I'm loving the leather with it! The dress and the vest- both are bloody rad! Buon Venerdi e un grande bacio da CoutureTrend. wow i just loved your leather jacket! 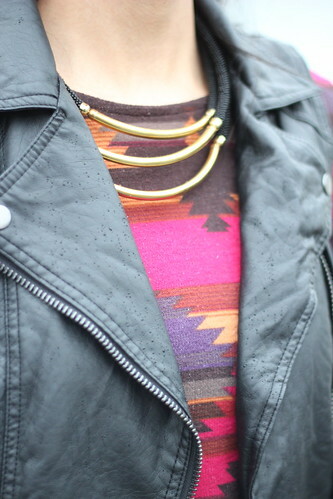 Tribal leather - what a genius combo! And my hair is soooo long now, definitely need to get it cut - yours is so pretty long, mine's just a wild mane, ha! Awesome mix! I really love that dress- the colors and print are fabulous! absoluetly in love with tribal print! This is such a cute dress and I love it with the leather vest, super chic! 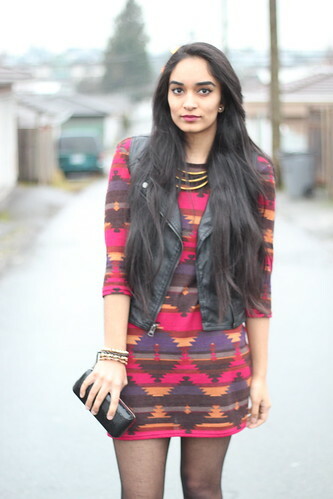 Love the print of this dress and it looks great with the leather vest! love everything about this prabh!! and your hair looks amazing. don't. cut. I love your leather jacket the most. It looks gorgeous. Your smile is also very cute. 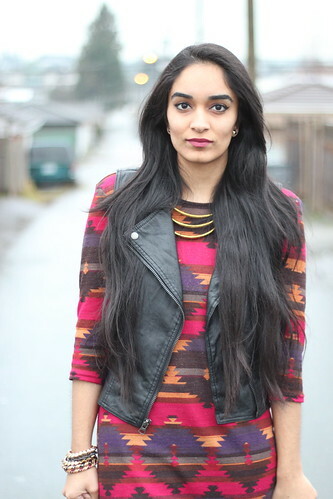 Footnotes and Finds is a lifestyle blog by Tript and Prabh, two sisters from Vancouver, B.C. 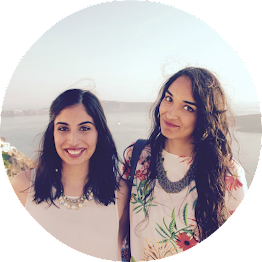 Sisters by birth but best friends by choice, they spent all of their time together anyways and decided to turn their creative projects and conversations into a blog featuring fashion, travel, food, health, music and Bollywood. 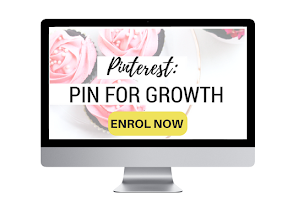 leverage the power of pinterest to drive traffic and grow your business & blog! © Footnotes and Finds | All rights reserved.